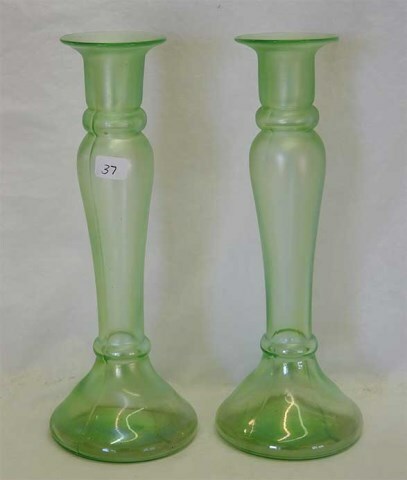 These are blown vases and as they are hollow, there could be used as either candlesticks or vases. 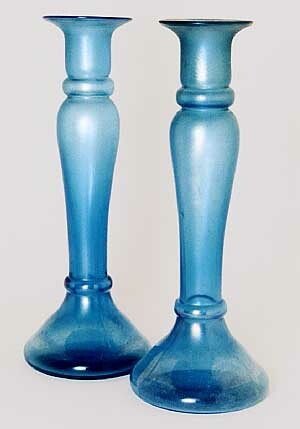 Usually found in this celeste blue that Dugan called Harding blue. 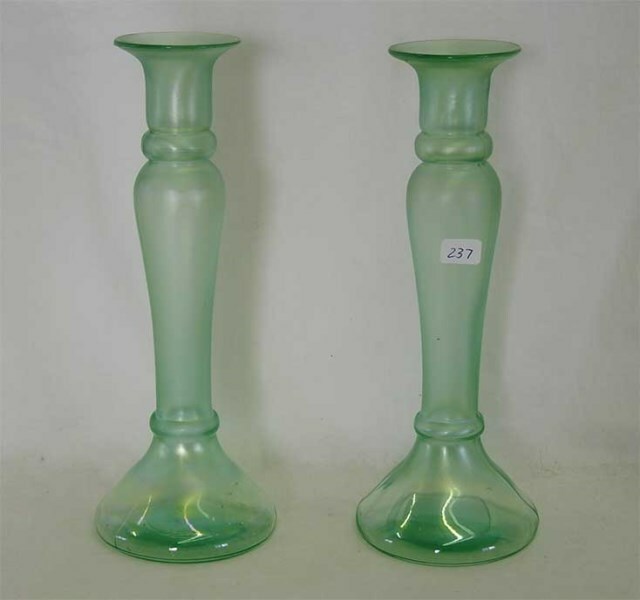 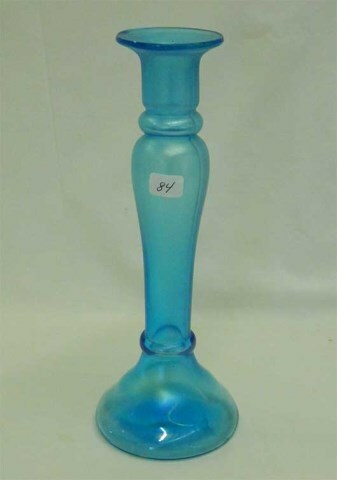 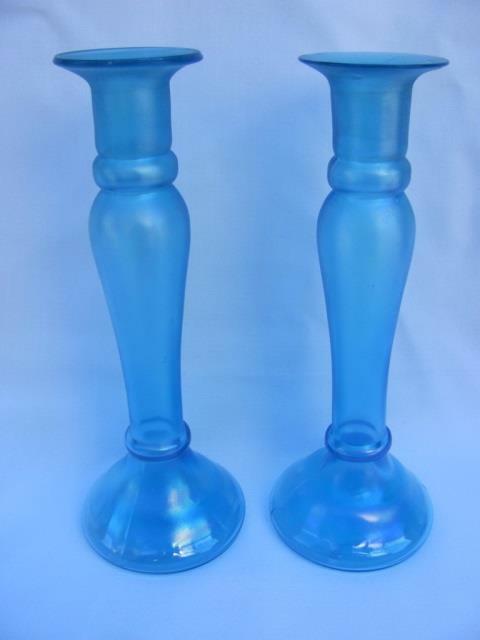 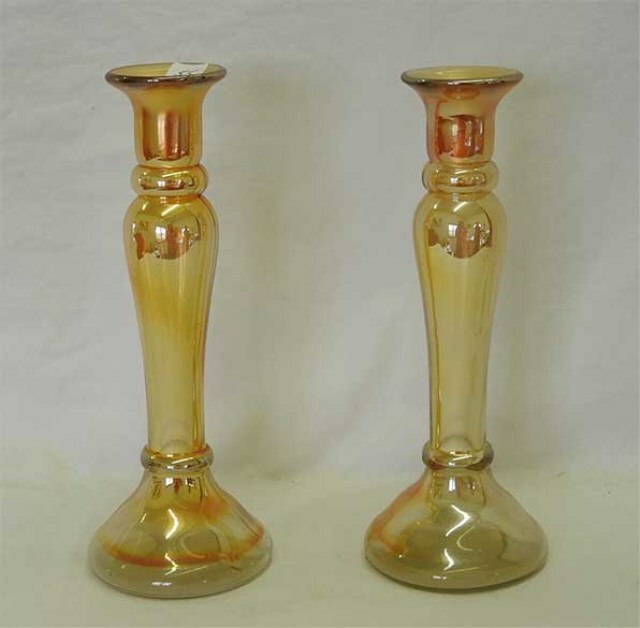 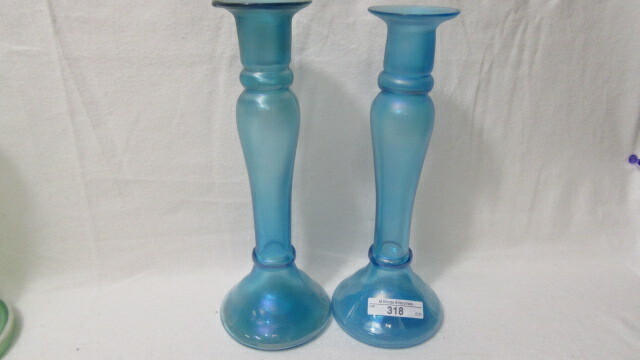 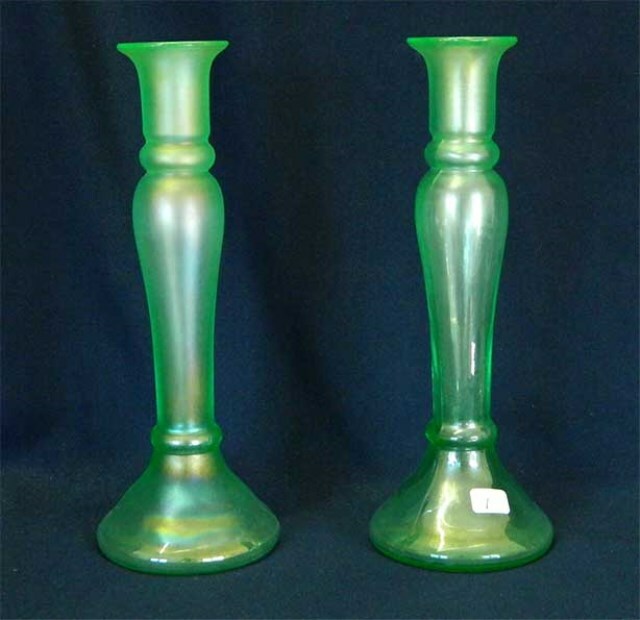 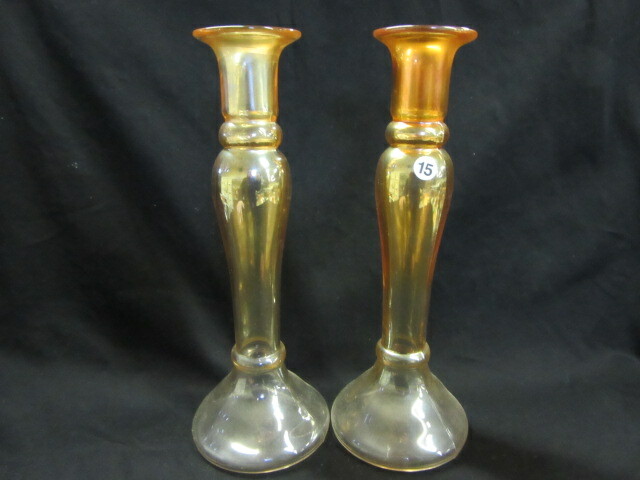 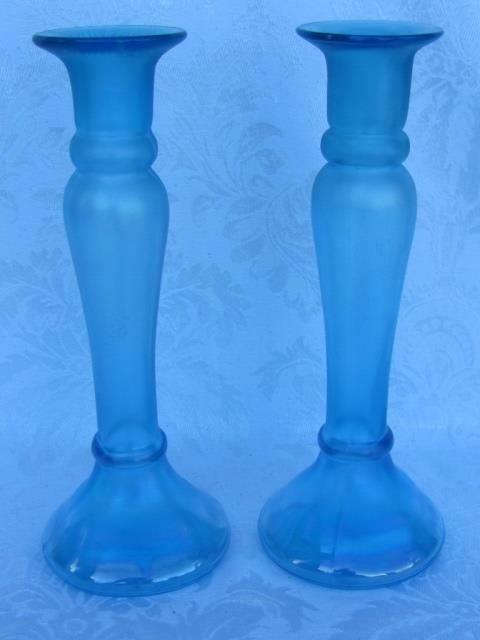 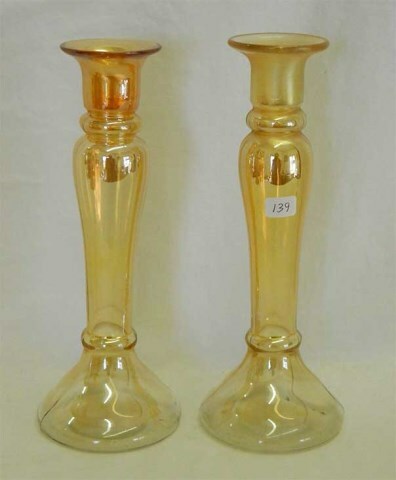 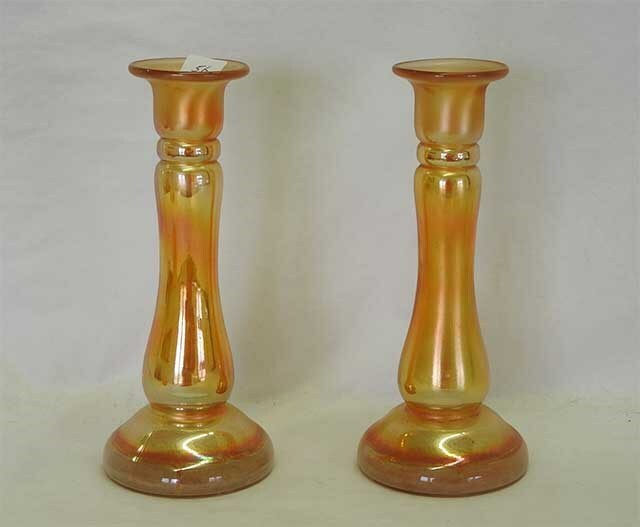 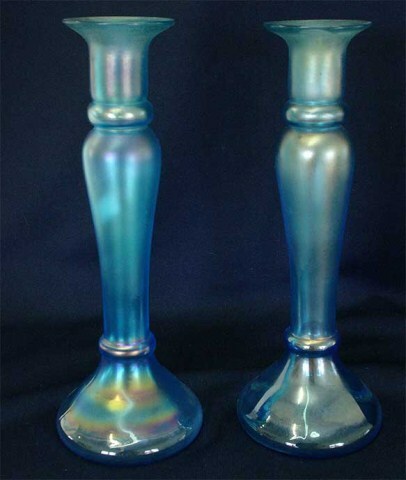 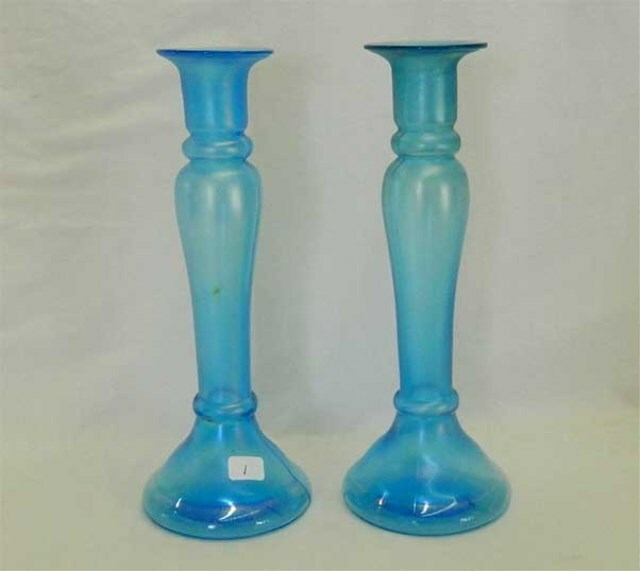 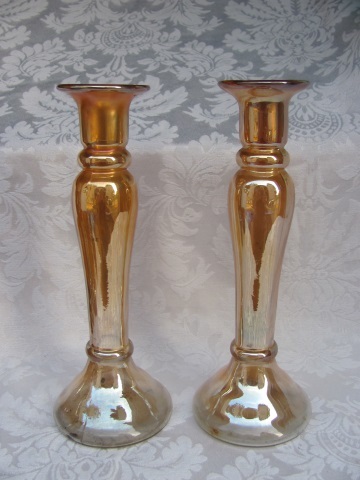 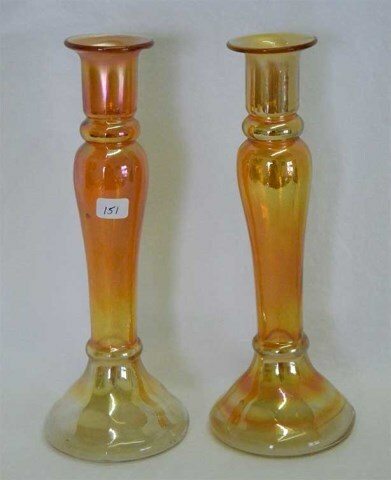 Like most candlesticks, these are also considered stretch glass.